Nearly 1 million new homes and apartments went under construction in 2013, giving the U.S. housing industry its best year since 2007. The strong figures bode well not only for the U.S. economy but also for individuals and families in the market for a new home. But while an increase in housing starts offers a greater supply of homes from which to choose, buyers should select the builder of their new home with care. As with any industry, home builders can vary widely in terms of quality, experience and longevity. While America is home to thousands of highly qualified, reputable builders, the recent recession hit the residential home building industry particularly hard. According to Builder magazine, in 2005 there were more than 73,000 active builders across the nation. By 2011, that figure had dropped by more than 50 percent to less than 34,000. And some states were hit harder than others. The Denver Post reports that by 2012, 80 percent of the builders who had been operating in Colorado in 2006 had failed or left the state. One of the benefits of purchasing a new home in a master-planned community is the ability to choose from a number of different builders who have already been thoroughly vetted by the community’s developer. In Nocatee, for example, homebuyers can choose from such well-respected, nationally known builders as Lennar, David Weekley and Mattamy Homes -- each of which has been in business for more than 35 years. 2. What is their reputation in the industry? How is the company viewed within the local building industry? Your local builder’s association and the Better Business Bureau are good places to gather impartial feedback on your prospective builder. Industry awards are another indicator of builder quality. For example, David Weekley and Toll Brothers – the exclusive builder in Nocatee’s Coastal Oaks neighborhood – were recognized by Professional Builder magazine as Builder of the Year for 2013 and 2012, respectively. And of course, testimonials from past customers are always helpful in evaluating a potential home builder. Different builders offer different standard features in their homes. So while one builder may feature granite countertops as a standard feature, another might require a buyer to purchase that feature as an upgrade. Be sure to confirm what features your new home will include and get a written contract that spells out all details of your new home, including the final purchase price and a schedule of when key construction milestones will be completed. 4. What type of warranty program do they offer? Confirm what’s covered by your builder’s warranty and for how long. Many builders today offer a tiered warranty program, with limited warranty periods for electrical and mechanical systems and up to a 10-year warranty on major structural defects. For more tips on navigating the home building process and the benefits of a master-planned community, download the free ebook. 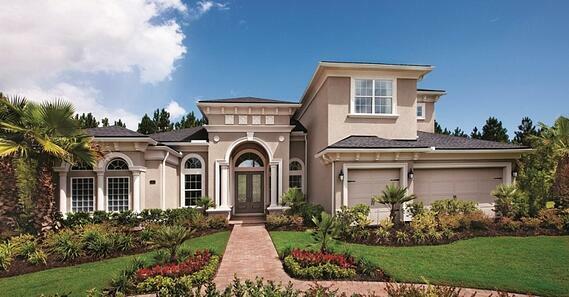 To learn more about available homes in Nocatee, visit the Nocatee Welcome Center or call 1-800-NOCATEE.